This popular Hostel is located in the heart of Northbridge. Northbridge, an inner suburb of Perth is home to streets lined with hip local cafes, street style food, chinatown and upmarket cocktail bars, restuarants and clubs. It's a destination for tourists and backpackers and is also the home to nationally acclaimed events such as the Perth Fringe Festival. With the newly developed Yagan Square bridging the gap between Perth City and Northbridge, this place is a constant hive of activity! 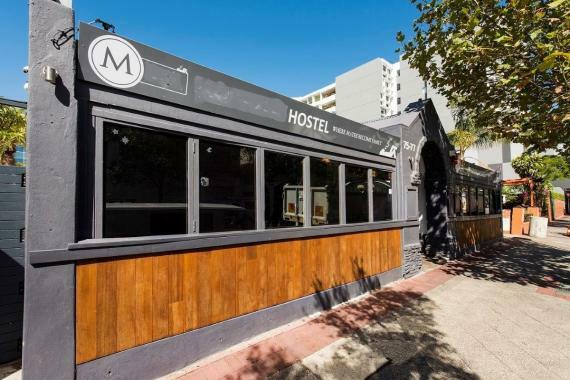 The sale of the Hostel will include: Plant & Equipment, Stock and Goodwill and new owners will benefit from the significant investment into the property making this an attractive destination for backpackers visiting Perth. A very a successful business licensed for 60 Persons with high occupancy and a range of accommodation options. The building has been substantially upgraded by the current owners and provides an attractive and welcoming space that has seen a significant increase in revenue and occupancy rates of over the last 12 months. The hostel is currently configured to accommodate 60 persons in 10 rooms. The hostel offers a range of accommodation including female and mixed gender dorms along with single, twin and double private rooms with shared bathroom facilities. All rooms are equipped with air conditioning. The business is currently under management with the owner having minimal involvement in the day to day operations of the business. The business has a long term lease in place which will provide the incoming owner a surety of operation. Leasehold Premises, business, website and domain names, all marketing materials along with plant, equipment furniture etc. Full financial details and asset register can be provided to interested parties. Enquire today to receive the full information memorandum. Please note that a confidentiality agreement will need to be signed prior to receiving further information. If you are looking to sell your Accommodation and Tourism or Backpacker\/Hostel business for sale, or business for sale in Western Australia (WA), Australian Business for Sale has variety of packages to choose from. Click here to read How to Sell A Business Online. Click to see shops in Australia.